TT@Técnico is located close to IST Alameda Campus, in Av. 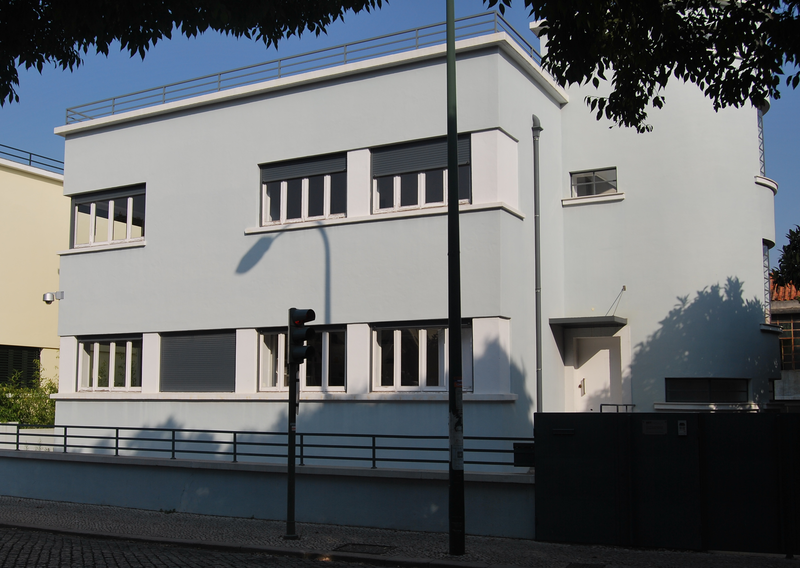 António José de Almeida 12, Lisboa. Instituto Superior Técnico (IST) was founded by the first Government of Portugal after the 1910 Republican revolution, in the scope of a global reform of the national education system. Its first director was Professor Alfredo Bensaude, a Ph.D. graduate from Gottingen University, who had the opportunity to put in practice his innovative ideas on technological education that he advocated since 1892. His writings refer the goal of giving students an “education immediately applicable to the domestic industry, which creates demand for them by the employers”, the school should provide “engineers who possess not only the knowledge, but also the necessary qualities to contribute (…) for economic progress”. It is thus natural that, throughout its more than 100-year history, IST has maintained strong ties with the industry, being a source of both highly skilled engineers and technological innovations for established companies or for the creation of new businesses. IST has been recognized as one of the most remarkable engineering schools in Portugal, attracting the best high-school students and keeping very high standards, resulting in extremely competent professionals, some of them having reached top positions in the most relevant Portuguese companies. The historical importance of IST is not limited to the impact of its former students and professors in business activities. Some of them have also served in the Government of Portugal as Prime Ministers and Ministers of several cabinets. Over the years, the ability of IST graduates to innovate has also resulted in the creation of many new businesses, founded not only by former students but also by professors and researchers of IST. The importance that IST gives to entrepreneurship and industry relations is reflected in the current organizational structure, with the appointment of a executive board member responsible for these issues. Technology transfer is also one of the three pillars of the IST strategic plan, along with education and research. The 2009 restructuring has also created the IST Technology Transfer office (TT@Técnico), the department responsible for the contracting, protection, management and exploitation of IST intellectual property. This office also acts as the IST contact point for companies and has the responsibility of promoting entrepreneurship among students, researchers and professors. The transfer of technology for the benefit of Society is one of the three strategic pillars of IST, together with education and research. IST has also been the pioneer in Portugal in the protection of intellectual property as a way to maximize its value, being the Portuguese entity with the largest number of registered patents. Many of these patents are the result of research projects involving companies that have the right of first refusal in licensing them for commercial exploitation. IST also licenses other forms of intellectual property rights, such as copyright of software, trademarks associated with technological products, among others. Some of the startups that spun-out of IST have licensing agreements for the exploitation of intellectual property rights of IST or of its associated research centers. The recognition of the quality of the IST research centers is also evidenced by the large number of studies that are requested by the Government of Portugal in matters as diverse as transport, geophysics, construction, information technologies, among others. In particular, 7 of its research centers received the status of “Associated Laboratories” that, in addition to receiving additional funding, enables them to be formally consulted by the Government for the definition of science and technology policy programs and instruments. Aiming to recognize the entrepreneurial spirit of its former students, researchers and professors, IST created the IST SPIN-OFF Community to bring together the technology-based companies with connections to IST. These companies have permission to use the Community trademark logo to be identified as a successful example of IST’s impact on Society. The TT@Técnico is composed of two units: the Intellectual Property Unit, with Patrícia Lima, Beatriz Mendes and Maria Manuel Meruje, and the Business Partnerships Unit, that includes Carlota Santos Silva and Sandra Borges. Alexandra Jacques provides administrative support for TT@Técnico.